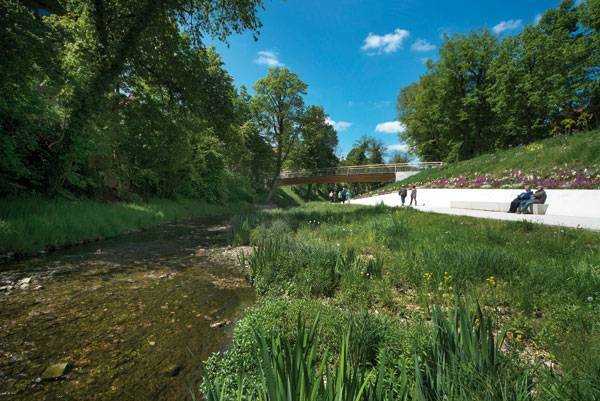 Article by Tahío Avila – Urban development of Schwäbisch Gmünd, by A24 Landschaft Landschaftsarchitektur GmbH, in Schwäbisch Gmünd, Germany. Located in southwest Germany, Schwäbisch Gmünd is a medium-sized city developed at the shoreline of the confluence of two important rivers: the Josefsbach and the larger Rems River. This is one of the oldest Staufer cities, once part of the old Swabia (a historic region in southwestern Germany), which today houses about 60,000 residents. The wet surroundings had an effect on the development of the city, which expanded from its starting point in the delta out toward the inside of the territory. Things started changing with the distribution of the city after World War II, when many German cities were reconstructed in a “car-friendly” way. The plan for the project was to reorient the inner city, including traffic diagrams. A few years ago, Schwäbisch Gmünd had no “green orientation” whatsoever. The city was intersected by a federal highway with a flow of about 35,000 cars per day. The riverbanks where inaccessible and the shoreline was deteriorated by the traffic axis. 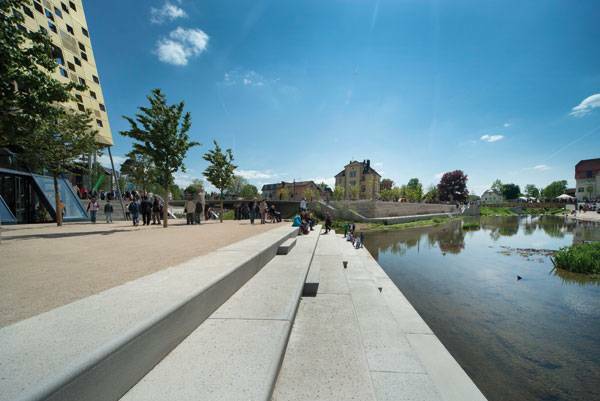 The city had no identity at all, so A24 Landschaft’s idea was to design a new urban axis and reorient historical urban structures, but especially to design a new green boulevard along the shoreline, with expansive public spaces for all kind of users. 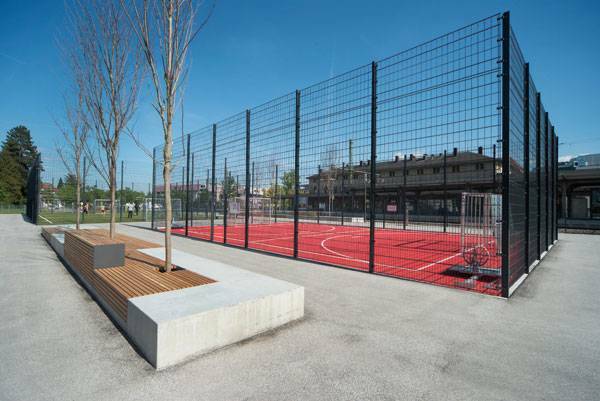 The project was designed to give the city a new image and identity, with green paths, sports areas, playgrounds, and public spaces in order to give citizens a quality of life worthy of a great shoreline. The main idea of this project was to increase a positive identification of the citizens with their city. The designers explained that Schwäbisch Gmünd had a functioning, “well-kept” historic city center; however, that wasn’t enough for inhabitants to feel a connection with an “organized routine.” The designers needed to create new geographical references and define spaces to find that balance between new and known, and the river was already a good starting point. 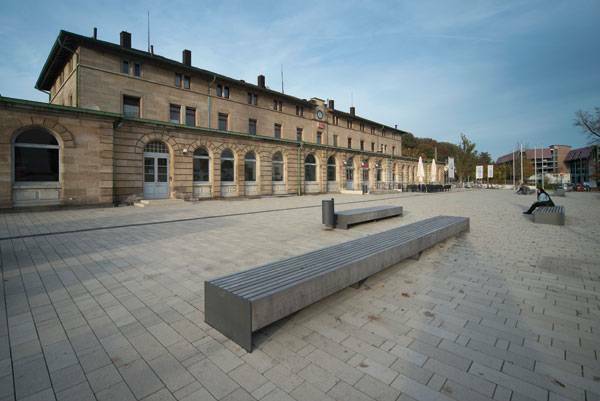 “The river junction is set to become a point of connection between the new and existing open areas of Schwäbisch Gmünd. 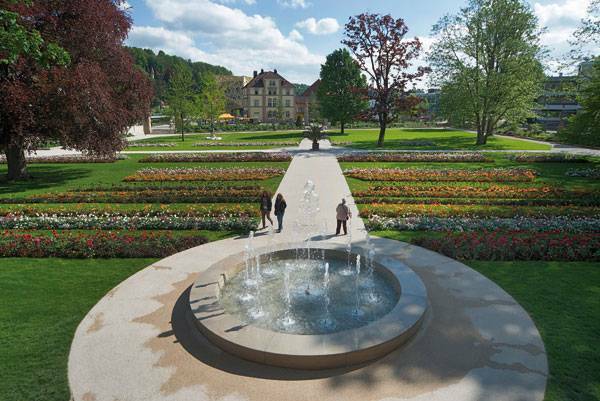 Between the railway station and the old town, the old Baroque City Garden, Remspark, the Josefsbach and the Rems, as well as the passages to the old town, combine to form a spacious green zone. 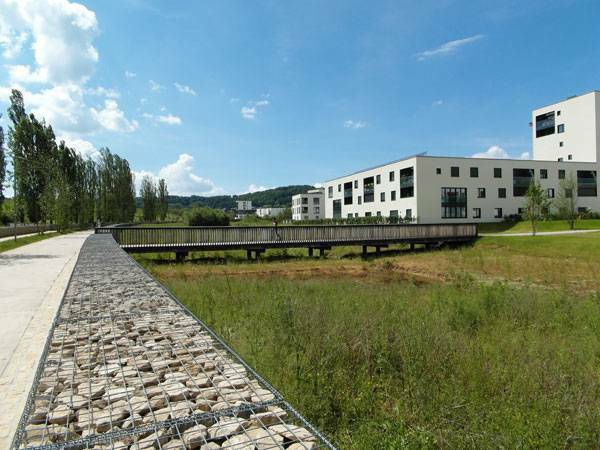 The public contracting authority has budgeted around 13 million euros for this comprehensive project” A24 Landschaft noted. As the river is the predominant and most important part of the city, the project gives another perspective and meaning to the zone. The project included the construction of a bypass tunnel designed for the spatial reorganization of streets, demolition of buildings, and a new urban development axis. 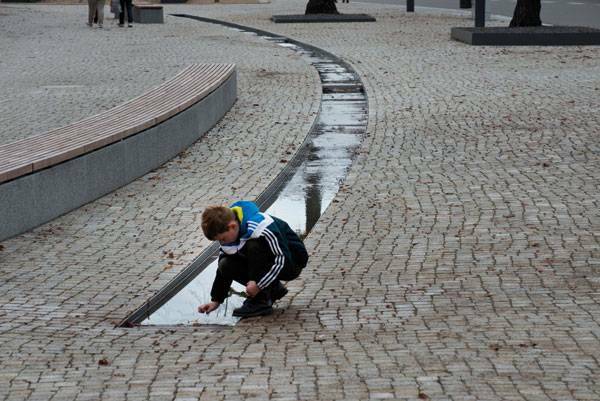 The new Josefsbach boulevard has green promenades — clean paths that have a direct connection with the river and/or the inner city at different points, forming a green ring around the old town and granting users a variety of perspectives and spatial effects, such as street-level promenades that connect the old town and the river through a series of public squares and playgrounds for the little ones. Other open areas have been designed for sport and recreational activities. 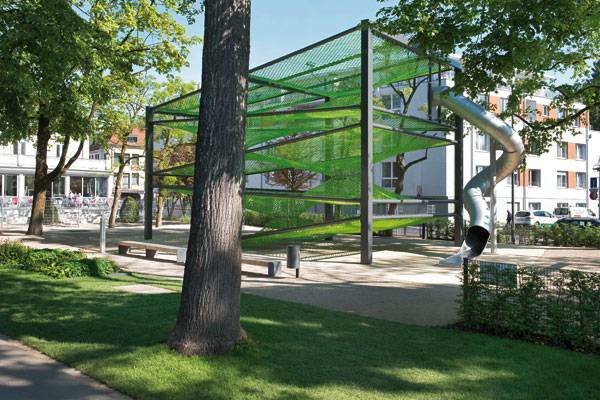 These include the Gleispark youth recreation area over the railway tracks and Netzvilla, a climbing frame resembling a multi-story villa — the three-dimensional structure provides almost eight meters in height of play space. The green heart of the city is the Rivermouth Park, with long terraces down to the water and an urban beach. The designers used a variety of construction materials. They go from concrete to cobblestone to sand in different paths. Every material was conscientiously studied for each particular area and situation, integrating the old and the new and creating a smooth transition. 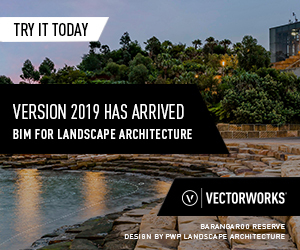 The same applies for vegetation: Diverse trees and shrubs species were placed along the boulevard to highlight nature and the construction around it, establishing the project’s character. 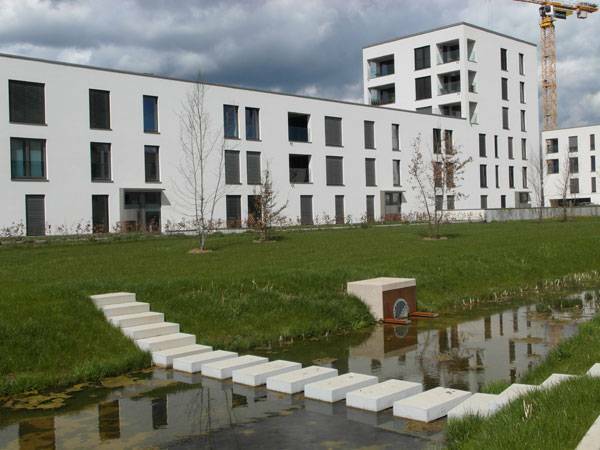 A24 Landschaft confirms that there has been social and ecological improvement after the completion of the project. 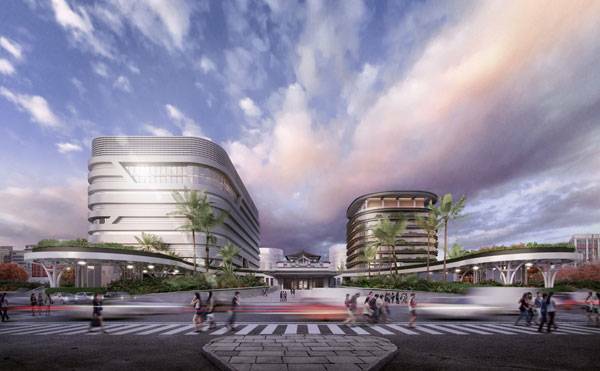 The boulevard, with its diversity of open spaces and activities, has been “warmly greeted” and continues to invigorate the city. The State Horticultural Show was successfully held in the zone, and they announced that the transformation of the city had “significantly improved the opinion of the city for around two-thirds of its residents,” not to metion its approximately two million visitors. The area continues to draw users from all over the region. In 2016,this project was awarded the Baden-Württemberg’s Baukultur Prize, which honors “Contemporary, experimental, and forward-thinking building culture.” It would be nice if more cities competed for this kind of award. The cost of the project was a well deserved price for a small city that can set an example to the world on how to make the best of an environment with already existing elements. It’s not just about design; it’s also about function. The designers have managed to transform a great space into a number of smaller areas. This design surely strengthens the development of the city in a sustainable way. True fact: Schwäb is a word used to describe the inhabitants of this region, and it literally means Swabia; Gmünd, on the other hand, means “mouth of a river” in vernacular German. Where would you like to see a project developed like this? Tell us about it! 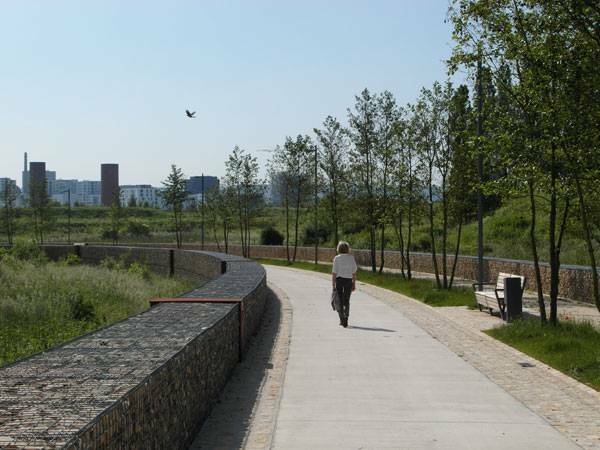 Article by Tahío Avila – Water Retention Boulevard landscape urban design, by ELYPS Landscape + Urban Design, in Belval, Luxembourg, Europe. 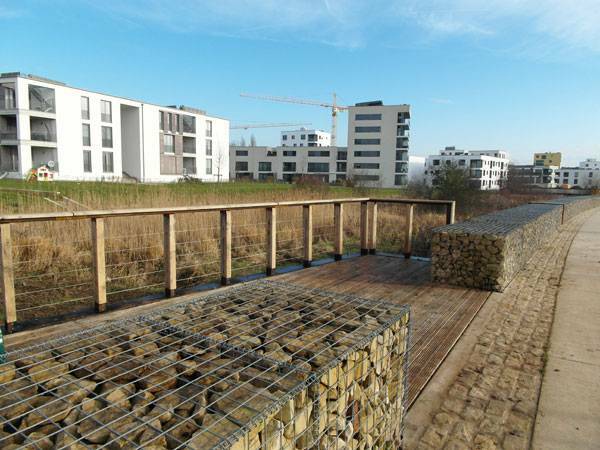 Belval is the first major city in Luxemburg to integrate rainwater management with a proper landscape design, providing a higher quality of life and an improved ecological environment for its inhabitants. The city of Belval is an industrial territory, and the contrast between natural and man-made is undeniable. 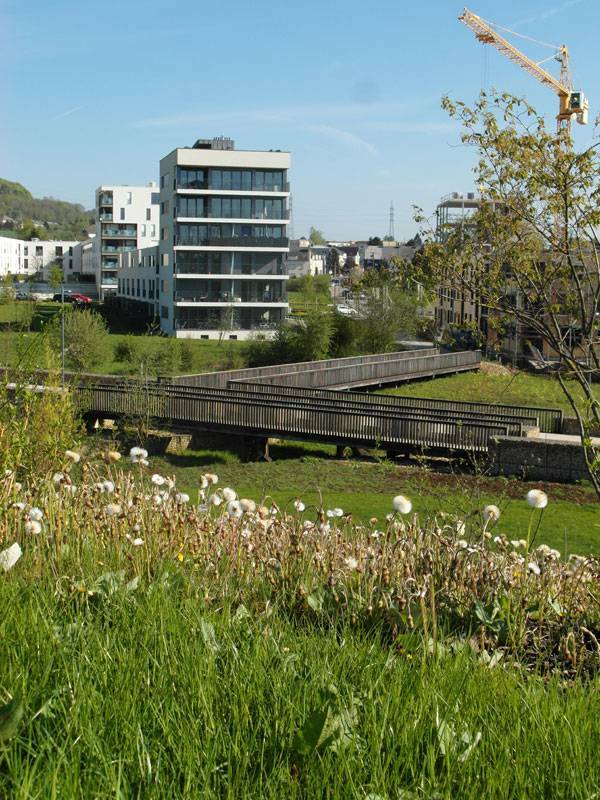 For this project, the designers decided to mend the urban landscape through the integration of a natural and “active” environment into the edifications and a water-retention management solution that serves the residential “Belval North” area and its surroundings. This will guide the city to grow in a new ecological and sustainable way. Belval’s landscape is dominated by industrial activities such as steelworks and fabrics, so the city’s divergence from the natural landscape is obvious. The new plan for this neighborhood was to transform it into an attractive, formal,yet functional residential area. The neighborhood is approachable, with 500 block houses carefully placed and developed within public green areas and promenades. The housing project is placed in a non-reticulated floor plan that allows the green areas to penetrate into the constructed areas. The neighborhood is divided into quarters. Each quarter (with residential, commercial, and office buildings) is integrated into the leading green zone, which operates as the water-retention promenade. 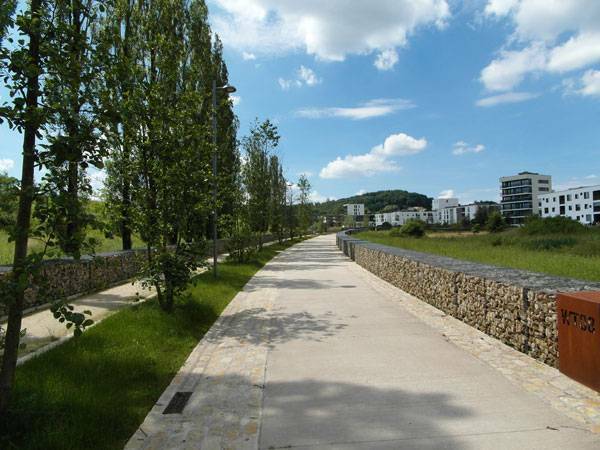 The rainwater collected from the quarters and its surroundings is redirected into the retention plan: the longest sustainable water retention promenade in Europe. The damage caused by industrial development can be seen in Belval’s inner city: The underground pipes no longer support storm water., The inhabitants needed new, sustainable water management and the city needed it to be an “eco-friendly” project. 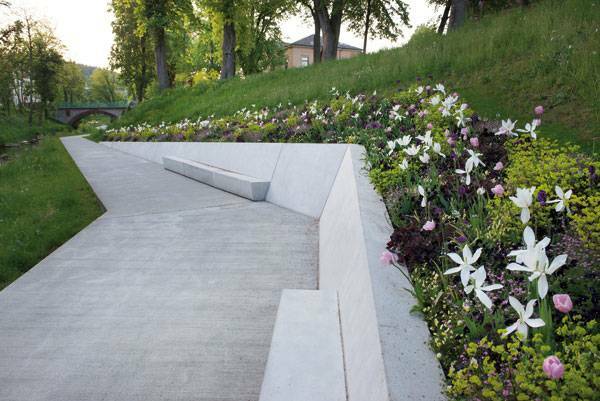 ELYPS Landscape + Urban Design was the firm called in to solve these problems. The designers included promenades for public recreation, as well as bridges that connect to the living, working, and shopping areas. Pedestrian and cycle promenades also play an important role in the project, making the “formal and industrial” city more livable. 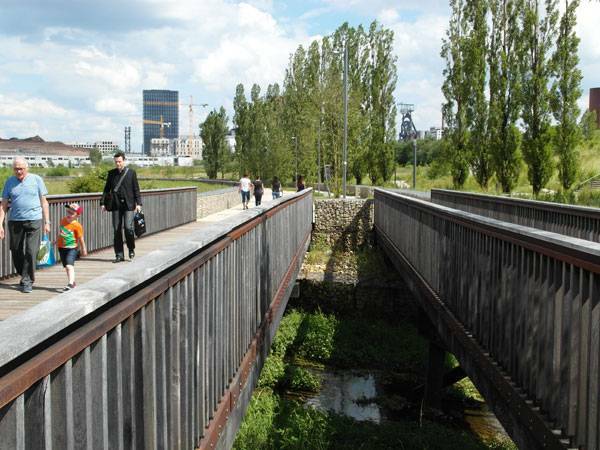 The bike paths flow into the National Cycle-path routing, connecting the residential area of Belval North, the Um Belval park, and the Terasse des Hauts-Forneaux, an old blast furnace terrace that is now home to a university, the National Library, the Rock Hall, and the head office of Dexia Bank. For the most part, the designers used local and sustainable materials. 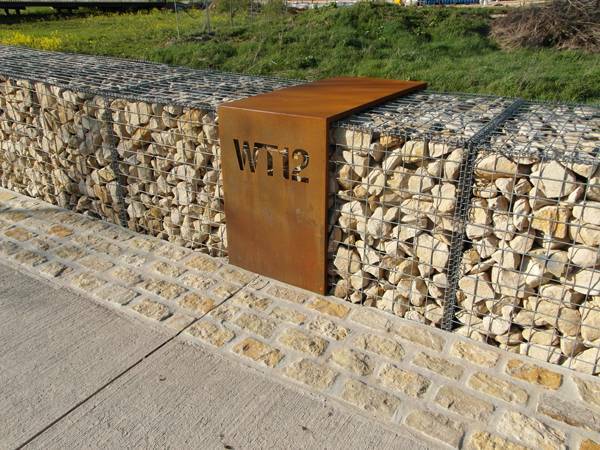 European oak, rocks, and steel were transformed into quality and durable urban furniture. 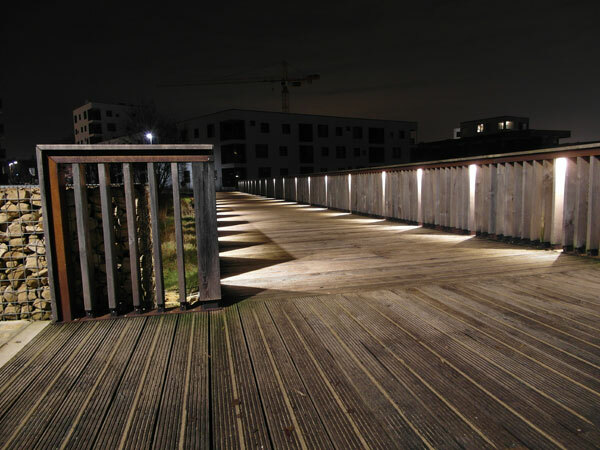 Bridges and platforms were made with European certified oak, and the pavement and gabions stones came from Grès de Luxembourg, a local quarry. The steel recalls the history of the industrial scenery. 33 visible spillways to transport storm water from the promenades into the retention stairways. 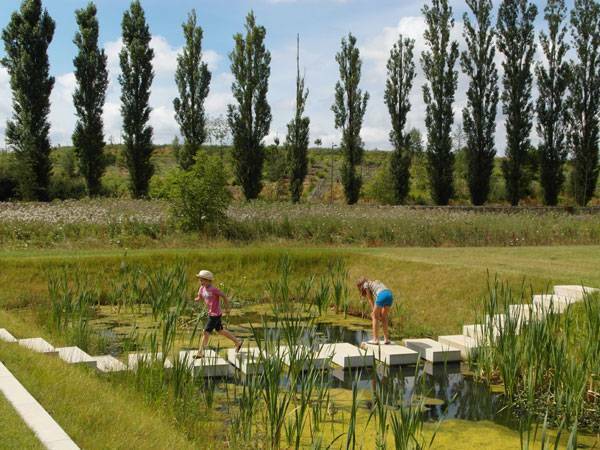 A Functional Wetland The project was designed based on the characteristics the area had before the city’s industrial transformation began. This includes part of the Wuenschelbach creek, which has been restored (where possible) in order to recover the functional wetland ecosystem. 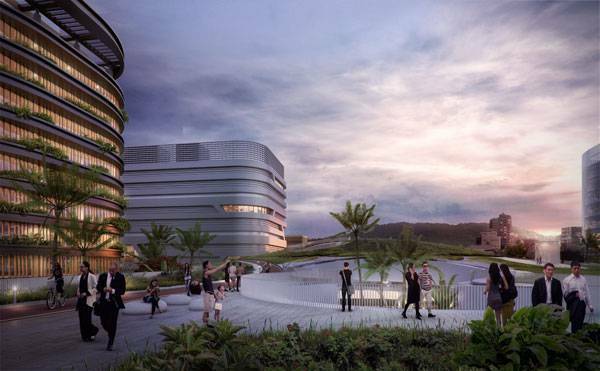 The designers believe the project is going to significantly help the ecosystem and change people’s habits in regard to water resources and habitat conservation. The water retnation boulevard has already had a good response, with the inhabitants embracing the new ecological environment. 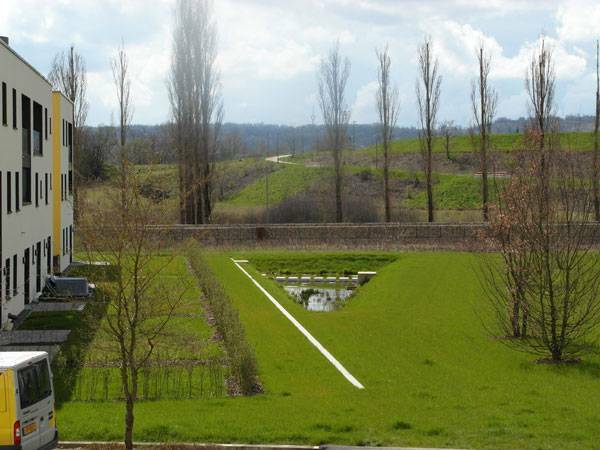 The constructions join this wide green area, which forms meadows as public spaces and reduces the number of private gardens. Water was the essence of the project, so it was important to make it visible. It returns the natural environment to the city, without negatively affecting the steel industry, which still needs to use the water for industrial cooling purposes. The idea was to collect rainwater from the buildings and roads, transfer it to open ponds, then split the distribution of it — one part to be used to cool industrial plants and the other to be transported with the existing water systems downstream. 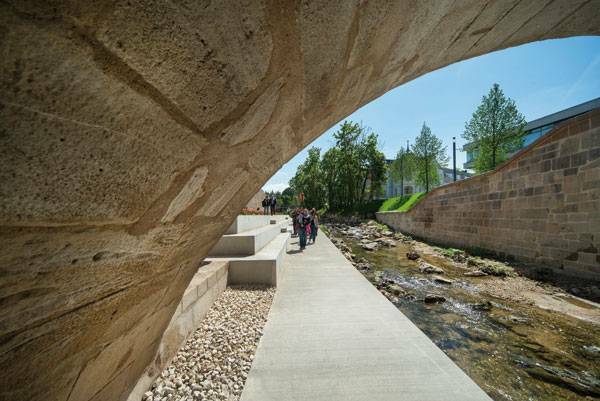 The design of the water retention boulevard includes 26 oak water barriers, or poles, to slow water drainage during periods of heavy rainfall, transforming different levels into “green water-retention stairways,” according to the designers. This prevents water overload. Grass along the stairways (and the rest of the project) also helps to slow down the speed of the water during the rainy seasons. 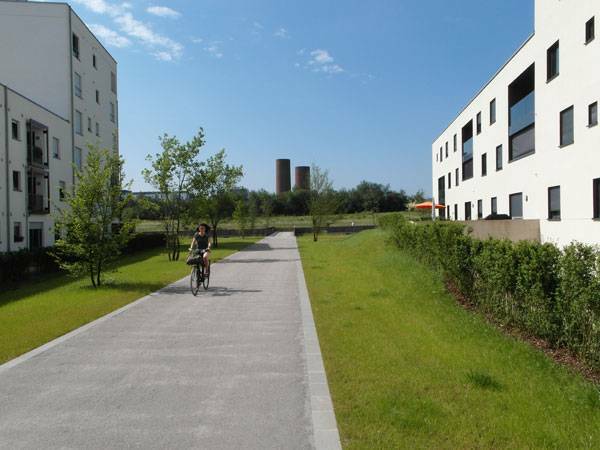 The whole water retention boulevard has a gold GBKN (German Certification System for Sustainability) pre-certification for sustainability in building and planning. 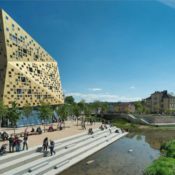 This project was designed to combine ecological and urban development to offer inhabitants, workers, and tourists a better quality of life in an industrial area. The next step might be for designers to look for the hidden messages that the landscape, culture, and history tell. The new water retention gives the inhabitants the possibility to grow and be conscious about nature, as we all should be. Industrial activities don’t have to be separated from natural spaces. Do you think landscape architects can unify them in the future? Tell us what you think. Do you Dare to Venture on the Valley of the Giants Tree Top Walk? Article by Tahío Avila – Kaohsiung Station, by Mecanoo Architecten, in Kaohsiung City, Taiwan Kaohsiung is the second most populous city in Taiwan with almost 2.8 million inhabitants and it represents an important transportation, manufacturing and industrial centre of southern Taiwan. Being an industrial centre is a good start for a city to become an important core, with a good transportation system and connections from airports to subway stations, and Kaohsiung has the basis for it; the train station or high-speed railways have a connection straight to Taipei (in the northern area of the island) and it has a quite modern subway system; the Kaohsiung Mass Rapid Transit, launched in 2008. This subway station is formed by 2 major lines and 38 stations; In 2014, the Dutch firm Mecanoo Architecten, was hired to design the new enlargement of the subway station and connect it with the train station, the airport (which is the second largest airport in Taiwan), and to offer a fresh and better way to move around the city. 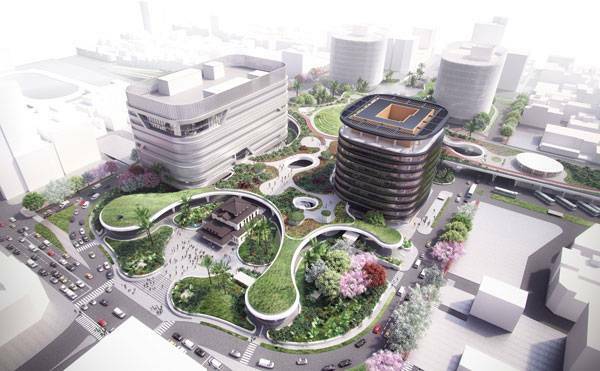 The key concept of the new Underground Railway Project is the relevance of green public spaces and the station’s connection with the urban context, which, right now, is an over-constructed and visually disorganized area; an integrated sustainable design will be the way to transform Kaohsiung into a sustainable city and the firm has the way to do it. For this, the designers created a green canopy which occupies 3.5 hectares of public spaces; open, sheltered and shaded, for pedestrians and users of all transportation in the city. 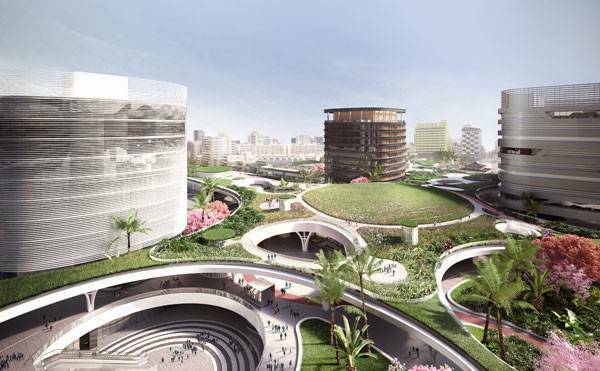 As Mecanoo’s creative director, Francine Houben said: “The sprawling green canopy protects the open public plaza underneath from Kaohsiung’s tropical climate like large trees would do. Here people can meet, enjoy a refreshing breeze, or visit events that take place at the station, like a farmers’ market, second-hand market, traditional open-air opera or a mobile library”. 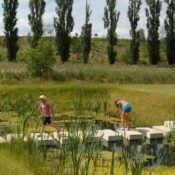 All of these activities are the same ones that take place in the city, but this time, in an organized spread of natural area in the middle of a dense urban condition. The designers proposed a “Layered Landscape” for the renovated station, where people can immerse themselves into different atmospheres as they change levels; passing through a central sunken hall with 75-metre clear span with a ceiling design inspired by the traditional red lanterns used to illuminate the sky of some villages in Taiwan when it’s celebrating time; a semi-open high ceiling covered with oval-shaped lights that not only reflect the ambient light but remind viewers of the way the lanterns look from below as they float. This plaza connects to the underground trains, metro and other facilities. The levels above are destined to become public spaces for pedestrians and cyclists. The bicycle ramps take the users to the canopy area and to a bicycle network which connects to either East or West Kaohsiung city. 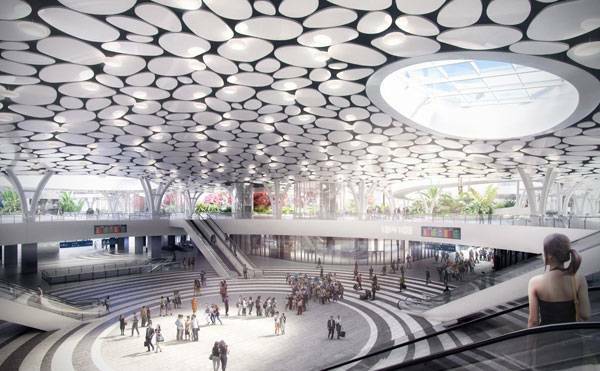 This multi-layered station will work as a transportation nerve center, focalizing train, metro, bus services, taxis, cyclists and pedestrians all in this area. 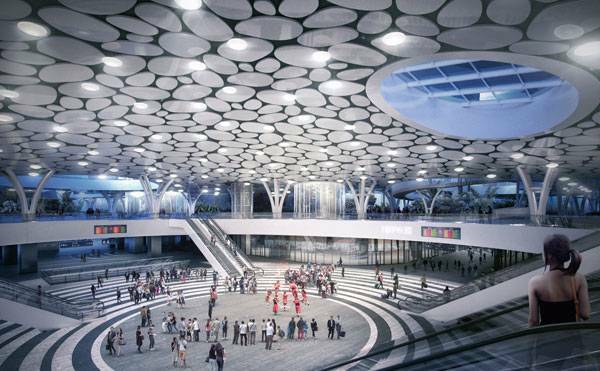 The plan has 7 underground stations and a 9.75-km tunnel. The underground levels have restaurants, shops and gathering areas all connected to the stations. “The station’s large, curvilinear-shaped canopy reaches out to the city in a powerful gesture, acting as a green connector that unifies different modes of transport, and represents Kaohsiung’s vision for the future as a sustainable city,” writes Mecanoo. “The station’s large, curvilinear-shaped canopy reaches out to the city in a powerful gesture, acting as a green connector that unifies different modes of transport, and represents Kaohsiung’s vision for the future as a sustainable city“ The station’s canopy connects a hotel with commercial building, shops, restaurants and other facilities that transform the station into a small city itself, with several spaces for gathering activities and a remarkable first impression of the city for visitors and tourists. It was designed not only to activate the local community but to present a new identity for the city, adding valuable green spaces and changing Kaohsiung’s atmosphere. 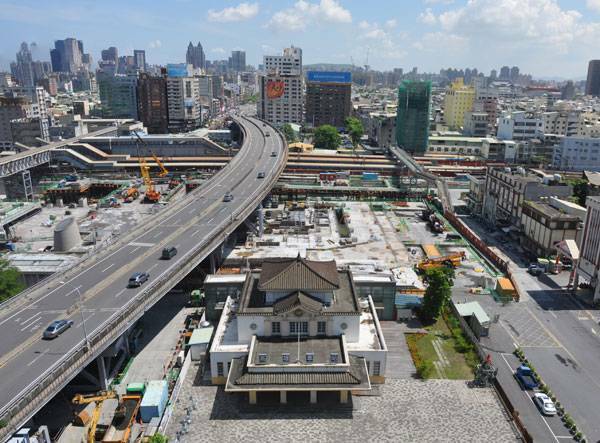 The current colonial Japanese station building will be relocated to its original site and will be included into the design as a symbolic signature between the past and the future of Kaohsiung as a distinctive, spiritual and sustainable city. 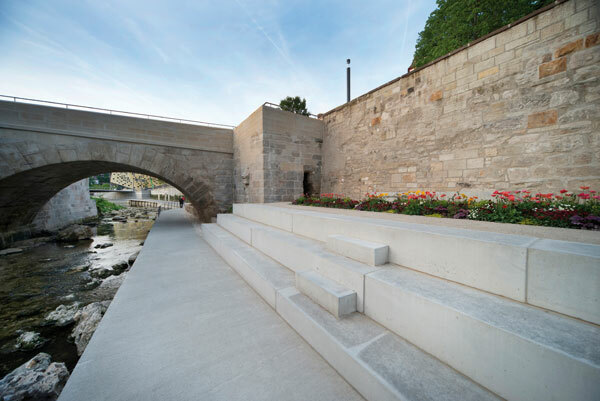 In order to form this great accessible park in the surface, and form a fresh but yet constructed area, the design includes the demolition of the viaduct that crosses the city near the Japanese building. 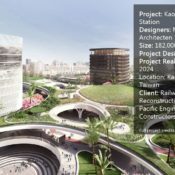 The vision of the firm is to turn Kaohsiung into a sustainable city; they not only came with the building’s concept but they focused on activating all the “senses” of a functional city. 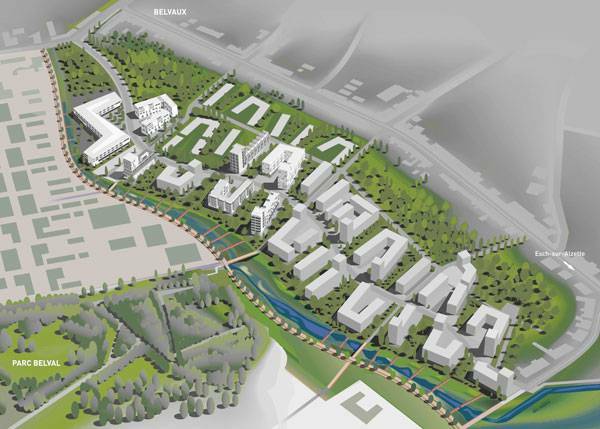 This proposal is about the layered and unified landscape, the merge of new and old, green and constructed, and the meaning of the people’s presence in this centre every day, making it alive, just like the natural intervention will change the perspective of the city with its green formal park. Talking about fusion of new and old construction style, do you think that’s the way to go when it comes to redesigning a city? Let us know what you think! Article by Tahío Avila – We explore the growing trend of green roofs, focusing on the extensive green roof and looking at 10 plants that work well in this situation. Green roofs are a big and relatively new interest for modern architecture and landscape. But they are really not that new — they have enhanced homes and buildings since prehistory. In the beginning, green roofs were known as sod roofs and were found most often in the Scandinavian Peninsula. Their purpose was practically the same as today: Besides holding the birch bark (which was the main material in green roofs at that time) in place and helping to compress the logs with the roof weight, they also offered waterproofing and insulation for the cold weather. 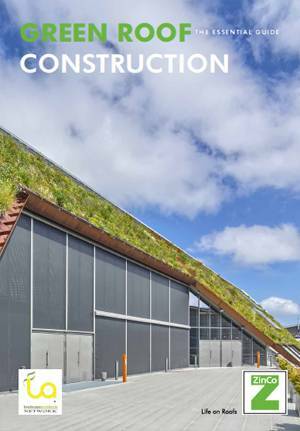 Get Green Roof Construction: The Essential Guide, by signing up to our VIP Club HERE! Today, we have all kinds of systems to build green roofs, but Extensive Green Roofs are quite convenient to have. They are composed of thin or low-lying layers of rainwater absorption, insulation systems, and vegetation, with the fundamental function of filtering water and cleaning the air. These roofs have a depth of 5 cm (2 inches) to 15 cm (6 inches) and require minimal maintenance. Because extensive roofs are lighter than other green roofs, they require a specific type of vegetation. Here is a list of 10 of the best plants – in various categories – that you can use: Succulents These are exceptional plants to consider, and they are used to cover an important area of green roofs. Small succulents are low-maintenance plants; they grow with little soil and practically no water. Let’s call them “self-dependent” plants. There are a lot of colorful species that can add a different touch and contrast to the roof design. 1. Sedum sarmentosum This is a clear-green species known as “gold moss stonecrop”. 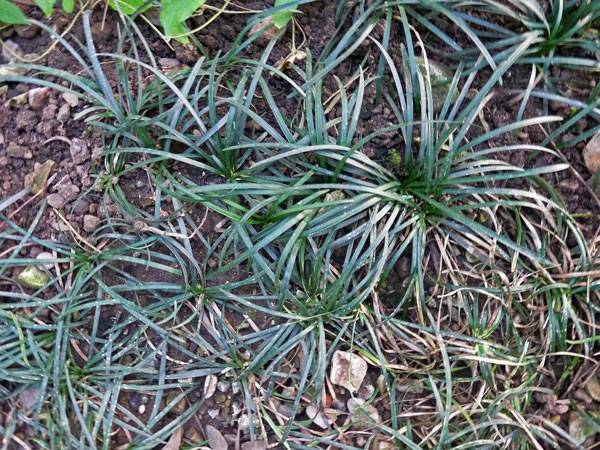 It’s an evergreen plant used as groundcover that can persist for decades. It can add a nice touch of color around dark green plants or under round-shaped leaves. It has a yellow inflorescence during summer. 2. 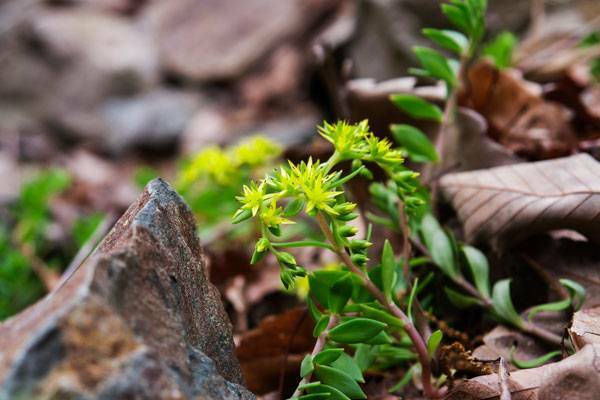 Sedum spurium This is another perfect groundcover, an herbaceous and deciduous plant with beautiful colors depending on the cultivar. It can grow in any soil type and can tolerate a few hours of shadow a day. It is 10 to 15 cm tall, with bright green leaves that turn red when the cold season arrives. It blooms in summer with red, pink, or white flowers. 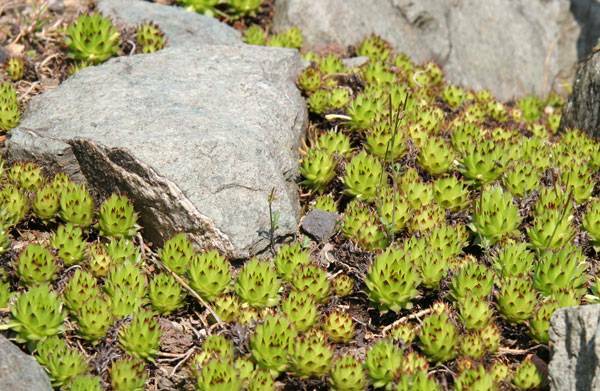 This is a succulent perennial plant with about 40 species, commonly known as “houseleek” or “hens and chicks”. As the name indicates, they can live a long time and don’t need any special care. They grow well in cold areas and need full sun exposition. The leaves form a rosette shape, and the plants have a good range of colors. In good conditions, they can spread quickly. 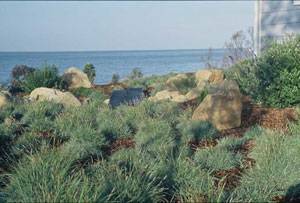 Also known as blue sedge, this is a nice, solid choice for a roof. It can grow in several ranges of soils and climates and is considered an ornamental plant. It has a “ball” shape and its leaves are blue. This plant will definitely stand out around other plants’ colors and doesn’t need particular maintenance. Commonly known as “bowles’ golden sedge”, it’s a yellow foliage sedge that grows in moist to wet soil, so it is a convenient plant for zones with a lot of humidity or rainy seasons. It will add brightness to the roof and doesn’t need particular maintenance. 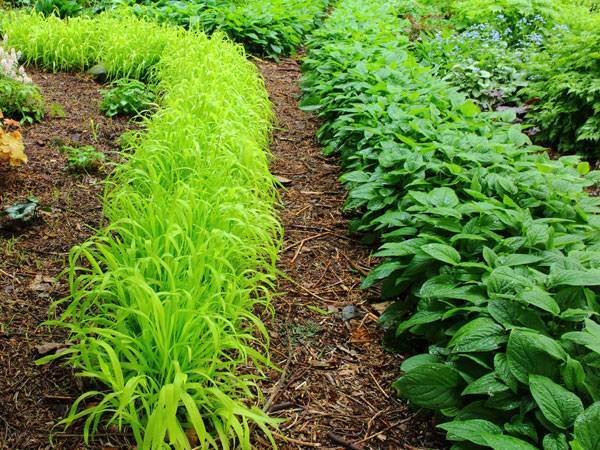 Groundcovers are plants with significant horizontal growth that can cover generous areas of soil. 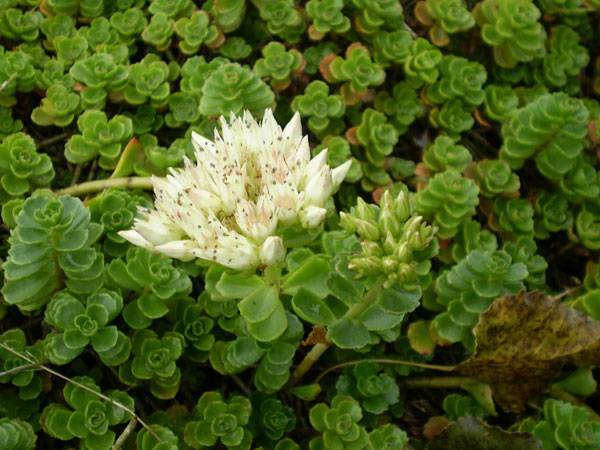 That’s why they work particularly well on green roofs; any plant with these characteristics can be a groundcover, including sedums, aromatic herbs, etc. Because they grow quickly, they limit the spread and germination of weeds. This is a perennial groundcover/falling plant that reaches 10 to 15 cm tall. The most interesting part of the plant is the inflorescence that starts in late spring and lasts until early autumn; its flowers go from pink to purple to orange. It is a full-sun plant, but it can also tolerate a few hours of shade a day. Yes, it is a grass-shaped plant, but in reality, this is a flowering plant that is part of the Asparagaceae family. A small Japanese plant also known as “mondo grass”, it reaches about 10 cm in height and can grow in full shade or in partly sunny areas. It does grow slowly, but on the other hand, it’s a nice evergreen that will provide color to the roof until late winter. It needs moist to wet soil, and you can find a nice variety of colors, such as yellow-green and dark blue leaves. 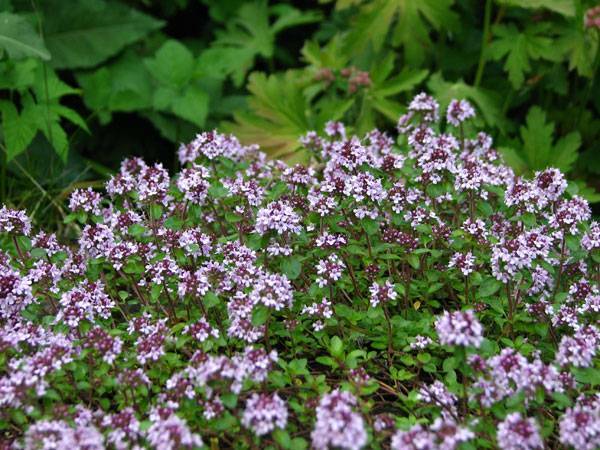 Also called common thyme, this is a small evergreen shrub (15 to 30 cm tall) with gray-green, aromatic leaves. It has pink-purple flowers in early summer, and grows as a groundcover plant that can be organized as flowerbeds around the roof. 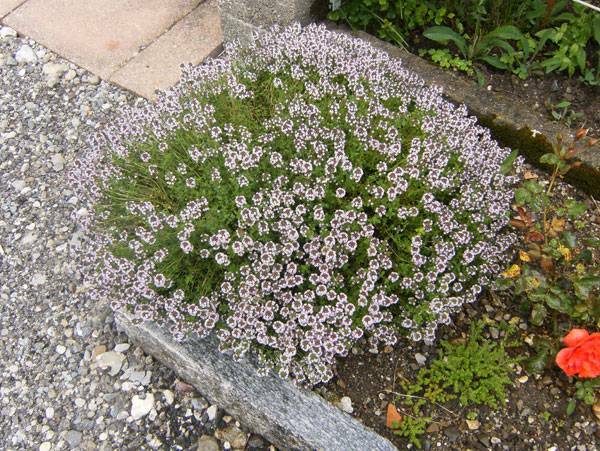 This is a particularly small evergreen thyme that reaches 7 to 10 cm tall as a mature plant. 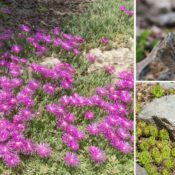 It can be used as a groundcover, and it’s compact and perfect to use alongside other thyme species to create a nice contrast of height and color. It has gray-green leaves and clear pink flowers in early summer. 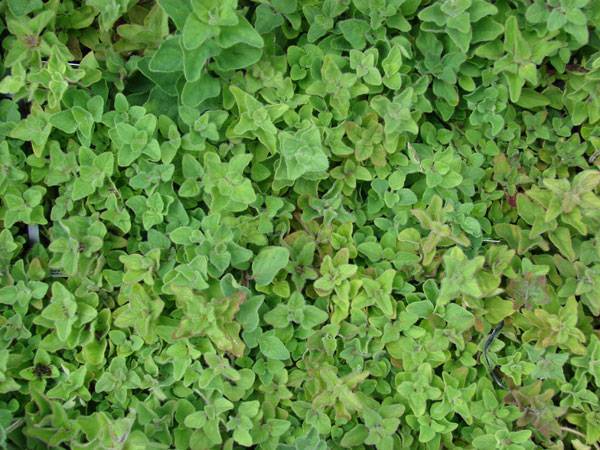 In general, common oregano is very adaptable to green roofs, but O.v. hirtum is a small species called “Greek oregano”. It grows 10 to 20 cm tall and could be used as a groundcover in extensive green roofs. It blooms in summer with little white flowers, perfect to harvest and use in the kitchen. To sum up, plants for green roofs should bring a lot of benefits, such as low maintenance, low irrigation (in some cases), fast growth and ease of replacement. Depending on how much attention clients or yourself want to give to the roof, there will always be a selection of annual plants that will fit perfectly in the roof design. Are you familiar with extensive green roofs? Tell us which plants you like.